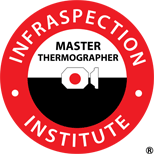 Since 1980, Infraspection Institute has provided infrared training, infrared certification, and support services for thousands of thermographers worldwide. We publish software, Standards, and technical articles for thermographers and NDT professionals. Our capabilities and expertise are without equal. Infraspection Institute’s services are provided without marketing hype since we do not manufacture or sell infrared equipment. Staffed by highly experienced, Certified Infrared Thermographers, we provide Real World Solutions for today’s challenges. 2019 marks Infraspection Institute’s 39th year in business. As we reflect on our success, we wish to thank our staff, associates and colleagues for their many contributions. Most of all, we wish to thank you, our clients and graduates, for your friendship and support. We look forward to serving your needs for another 30+ years.